Plastic retractable round stick pen. Medium print with black ink. Made in the USA. 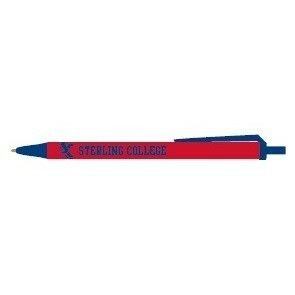 Sterling College logo in navy blue.